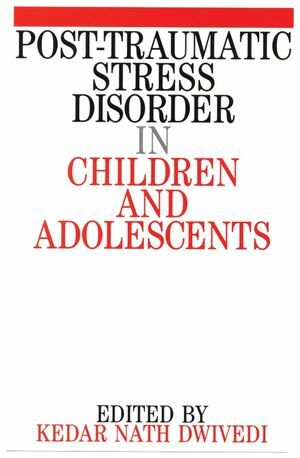 PTSD is more usually considered as an adult disorder: this volume concentrates on children and adolescents. The introductory chapters are followed by a chapter on assessment and several chapters on treatment. The issues of clinical management in some of the important ecological contexts such as family and school, and aetiological contexts such as refugee status and child abuse, are discussed in further detail. Then a variety of treatment approaches are clearly described. The book is aimed at teachers, practitioners and researchers in child psychiatry, clinical child psychology, educational psychology, social work, paediatrics, and occupational therapy. Kedar Nath Dwivedi is the author of Post Traumatic Stress Disorder in Children and Adolescents, published by Wiley. The Trauma and Orientation and Child Therapy. Post-traumatic Stress disorder - Causes and Aetiological Factors. Biological Basis of Post-traumatic stress Disorder. Post-traumatic Stress and The Space Between -an Interpersonal perspective. Clinical Aspects of Post-traumatic Stress Disorder in Children and adolescents. The Assessment of Post-traumatic Stress Reactions in Children and adolescents. Individual Treatments for Children and Adolescents With post-traumatic Stress Disorder - Unlocking Children's Trauma. Cognitive behavioural Therapy for Post-traumatic Stress Disorder in Children and adolescents. All in The Family - Therapy for The families of Traumatised Children and Adolescents. Refugee Children and Their Families - Theoretical and clinical Perspectives.